Dan Human has backpacked the Cranberry Lake 50 trail two times and has ventured on shorter hikes throughout the Five Ponds Wilderness. 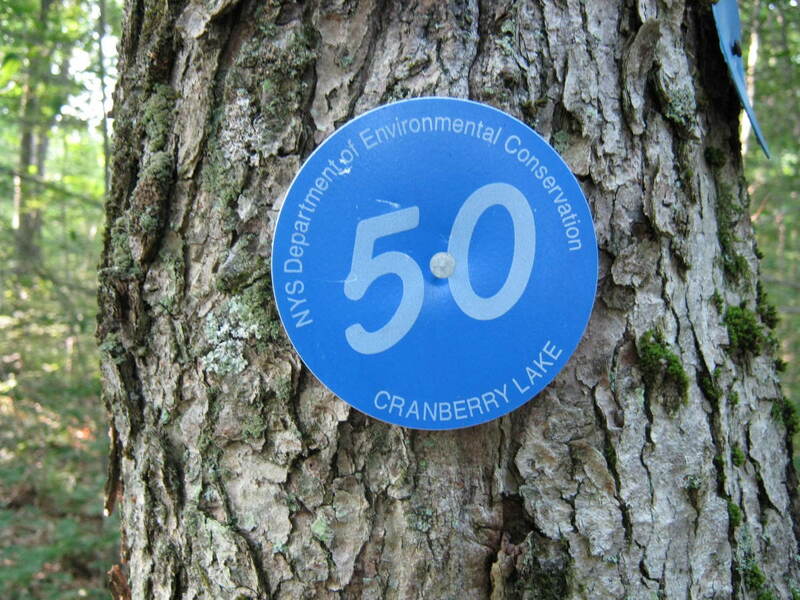 The Cranberry Lake 50 Trail (or "CL50") in the northwestern Adirondacks makes a circuit around the intricately shaped and beautifully captivating Cranberry Lake. 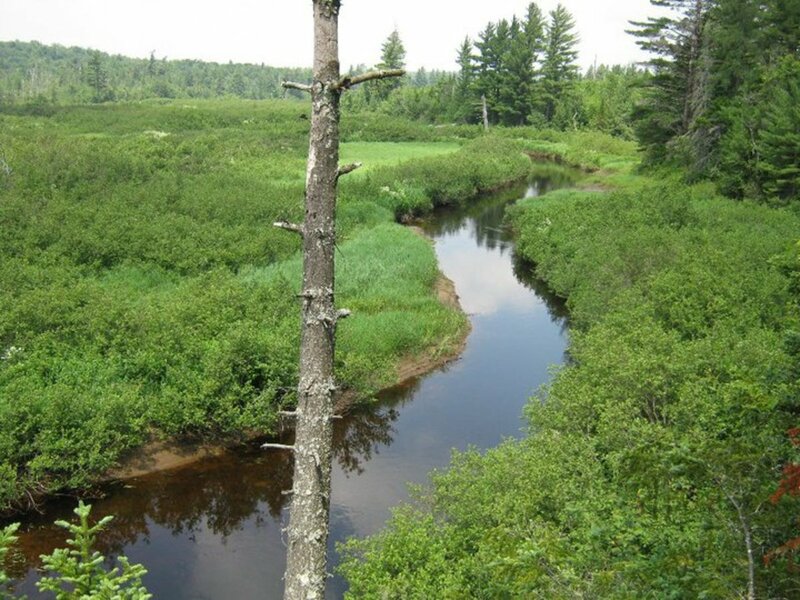 On the southern end of the loop, the trail ventures into the rugged Five Ponds Wilderness area, then parallels the winding Oswegatchie River. The trail's terrain is gentle compared to the sheer vertical nature of the High Peaks; it is pieced together from old jeep trails, portage routes, established trails (like the High Falls Loop), and some new trail work. This trail proves that you don't need to climb mountains to get a wilderness experience, as there is plenty to be found here. 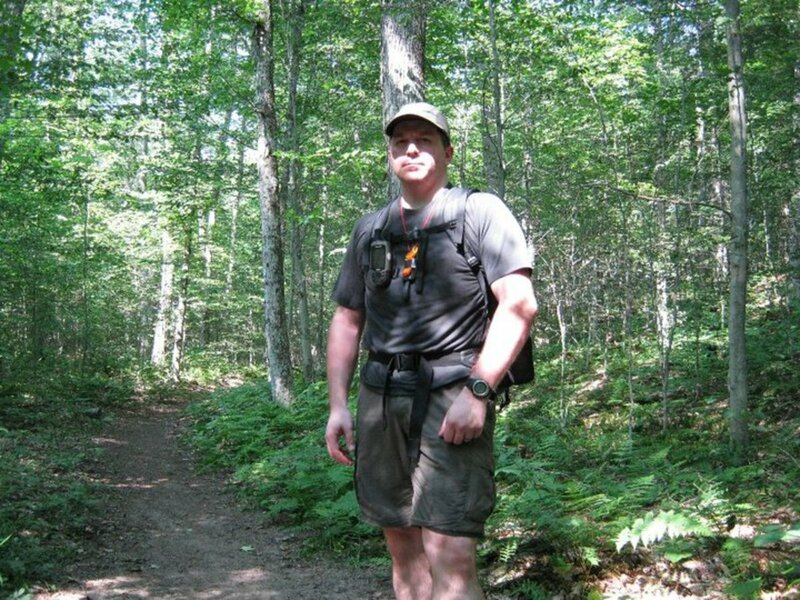 On a couple of scorching hot days in July 2010, I completed the 54 miles of hiking in 36 hours with a light pack and a quick night's sleep at Cow Horn Pond. On my hike, I didn't see any other hikers! I heard people talking across one of the ponds, and saw a tent set up at High Falls, but that was it. Sure, I saw people as I wandered through Wanakena and cruised through the town of Cranberry Lake, but none of them were on the trail. On this hike, I saw three times more animals than I usually see during a High Peaks hike: bear, deer, grouse, turkeys, woodcock, squirrels, chipmunks, and a porcupine. Of course when you look to see who CL50's Number One is, it's wilderness advocate Bob Marshall (also one of the first 46ers). 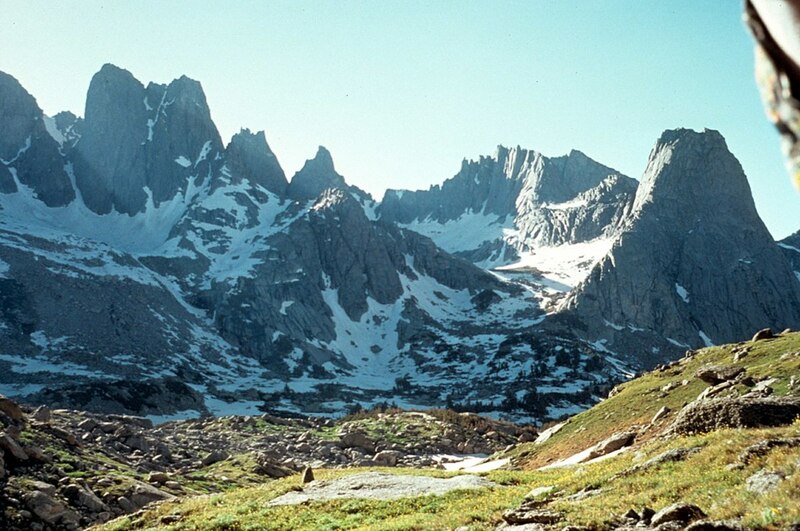 It is no wonder that this area has been proposed to become the "Bob Marshall Great Wilderness Area." As a loop trail, the CL50 is perfect for solo and carpooling backpackers. The CL50 offers freedom: you decide where you want to park, which direction you want to go, and even whether you are going to do the three-mile road walk down Route 3. As a purist (aka stubborn person), I did the road walk, but I guess you don't have to do it to get your patch. Even though I did the trail in one night, many hikers take five days or so to complete the journey and take all the side trips they want. Camping spots are plentiful, and water never seems to be a problem. I've suggested this route to many Boy Scout troops and Venturing crews looking for a moderately paced 50+ mile backpacking trip. As any Adirondack hiker will tell you, sometimes it can be difficult to find the correct trail. As a High Peaks backpacker, having experienced several instances of bewildered meandering myself, I often give directions to lost hikers. The CL50 breaks with that rustic tradition, and is both well maintained and thoroughly signed, with well-placed sky-blue markers. Though because it is a new trail, maps and guides depicting the route are rare, there are some outstanding resources including a trail map and brochure on Five Ponds Partners' CL50 website. On this trip, I used the ADK's Northern Region topo map and Garmin Mapsource on my MAP60CSX GPS. For those of you looking for something multipurpose, I picked up a bandana with a map of the CL50 at the Wanakena general store (this place stocks Gatorade and snacks too). Whatever you use, please make sure you always carry some sort of map and compass and know how to use them. Research, customize, and print your own Adirondack maps. This is my favorite mapping resource for hiking. 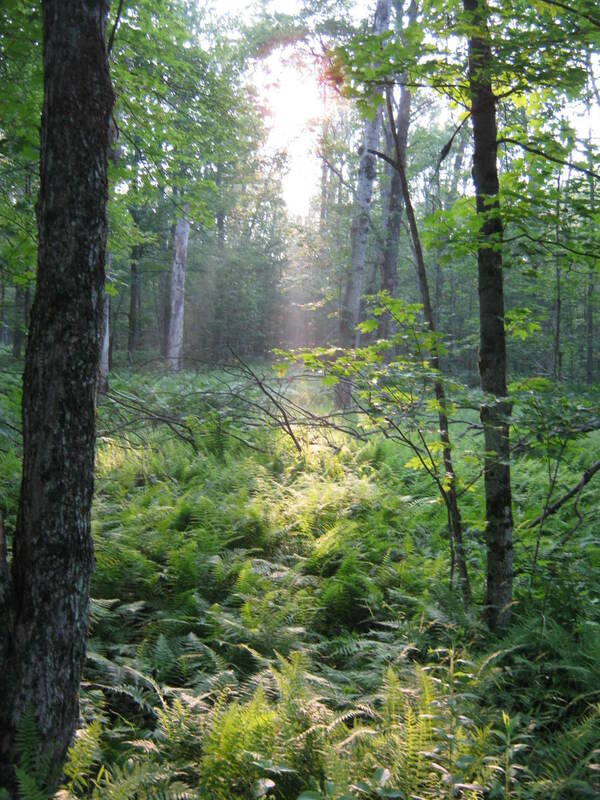 Only an hour from the Cranberry Lake Wild Forest Trailhead, I turned the corner to see the sun's rays shining through this glade. Among the ferns, an adult black bear sat on its haunches feeding on berries. When you see a bear, your life pauses as your emotions fluctuate between euphoria and anxiety. I paused too long in wonderment, grasping for the camera in my chest harness while keeping a curious eye on the startled bruin. As I pulled the camera from its protective freezer bag, I raised it to position while simultaneously switching on the power. But by the time the LCD screen flashed ready, the bear had retreated to the comfortable darkness of the forest. The bear ran quickly, bounding over logs in pure eerie silence. I marveled in amazement at how such a large creature can move without making a tremendous racket. Likewise, as any camper or hunter will tell you, I am amazed at how large a chipmunk sounds when playing among the leaves. Indeed, many a novice hunter has switched position in their stand to examine the racket of squirrels only to spook the noiseless deer behind them. Yet, I've seen bears crashing through the woods with the fury of a tropical storm, when they want to. It is a performance set forth by this player of the north woods, and we are but gullible theatergoers entranced by the intricacies of a grand playwright. The ecology of the Five Ponds Wilderness and much of the CL50 is dominated by nature's engineer: the beaver. Growing up as a canoeist, I have experienced the beaver's ability to form dams in the most inopportune of places, usually in your intended direction of travel. However, after a quick shove and a few scrapes along the bottom hull, you were usually over the obstruction. Other times it took a little skill in wading and faith that the animal-built structure would hold your weight. I never really encountered beaver flooding while backpacking until a trip around the High Falls Loop (the majority of which is now designated as CL50) many years ago. I remember being okay with ankle-deep water, then calf-deep water, but the chest-deep water made me think of my Army days. On this trip, the deepest and most prevalent beaver flooding I found was in the section between High Falls and High Rock, both on the Oswegatchie. However, thanks to many marked detours, the deepest water was only calf-deep with most of it only providing moisture under my feet. I wore lightweight Keen voyageurs on this trip; though they are not waterproof, they dry very quickly. If you are overly concerned with wet feet, you may want to bring a pair of wading sandals or—ughh—crocs. I admit that on spring trips, I usually have my bright red crocs hanging off of my pack for stream fording. Though I feel like a dork when I wear them, they are very light and grab slimy stream beds well. Though hammock systems are generally heavier than tarp/ground shelter systems, they offer extreme comfort for the weary backpacker. 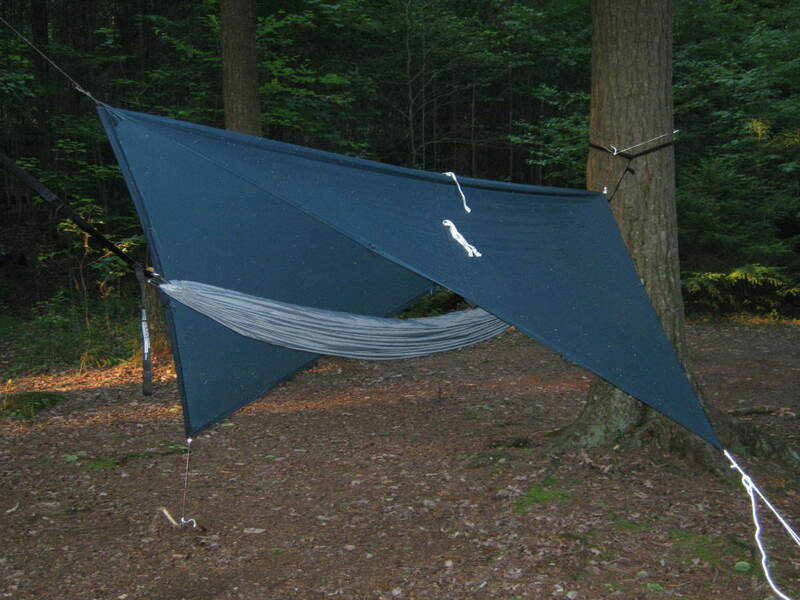 The hammock shelter I used on the CL50 consisted of a Grand Trunk Nano 7 (6 ounces), an ENO slap-strap pro suspension (8 ounces—heavy, I know), and an Equinox sil-nylon 6X8 tarp (9 ounces). I used Kelty trip-tease cord for guy lines and replaced the Grand Trunk carabiners with lighter models from Mammut. To save weight, I left my net at home, but I treated my hammock with permethrin and slept with my headnet. I weathered the night with only a few bug bites. So what should you bring on a thru-hike of the CL50? 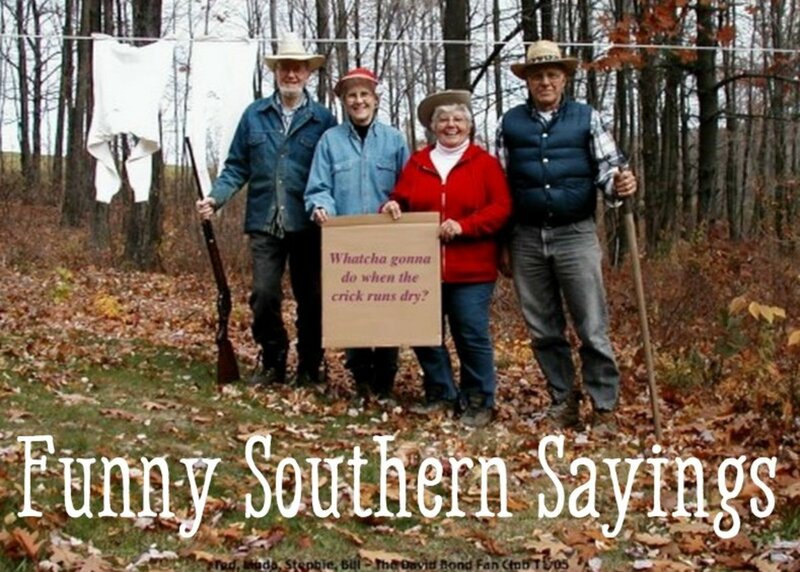 I would say that depends on the type of backpacker you are, the time you are taking to enjoy the trail, and the season. In an attempt to get closer to the earth, I am a lightweight backpacker. I forsake the trappings of comfort and convenience because to me it adds to my experience. Also, a light pack helps me move quickly with less effort when covering big miles. For ultralight backpacking tips, check out "Lightweight Backpacking Gear List and Tips for Lightening Your Load." For this hike, my gear weight was just under seven pounds (without food and water); with food and water, my pack weighed about 12 pounds. This is a copy of my gear list for this hike. 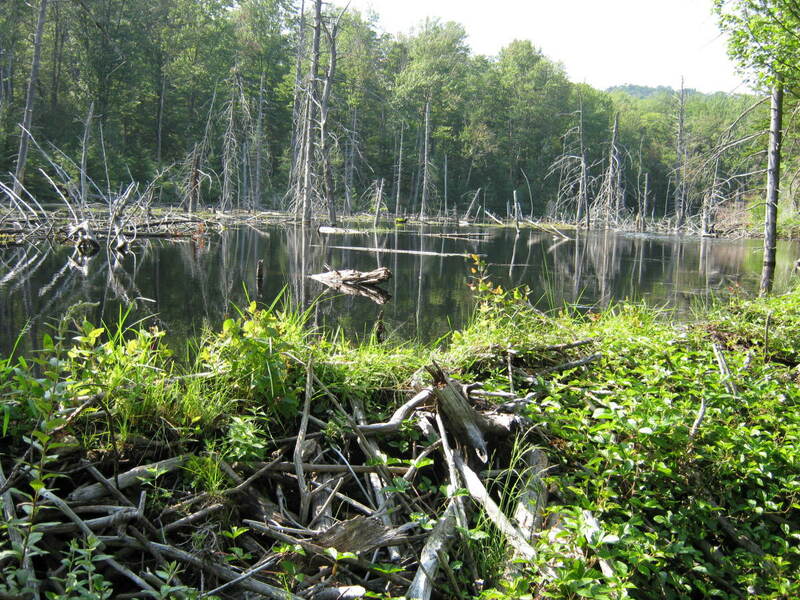 The "Log of Doom" is infamous in CL50 circles for its wobbly and narrow nature over a beaver pond. You'll encounter this bridge between Cat Mountain and High Falls, though it really isn't much of a bridge. It is in fact a fallen tree that luckily fell in the right place and has has the top cleaved off for a more level tread. So, what is the big deal with this log? First, it is a very long span to cross and one one misstep will leave you wading in a beaver pond with wet gear. 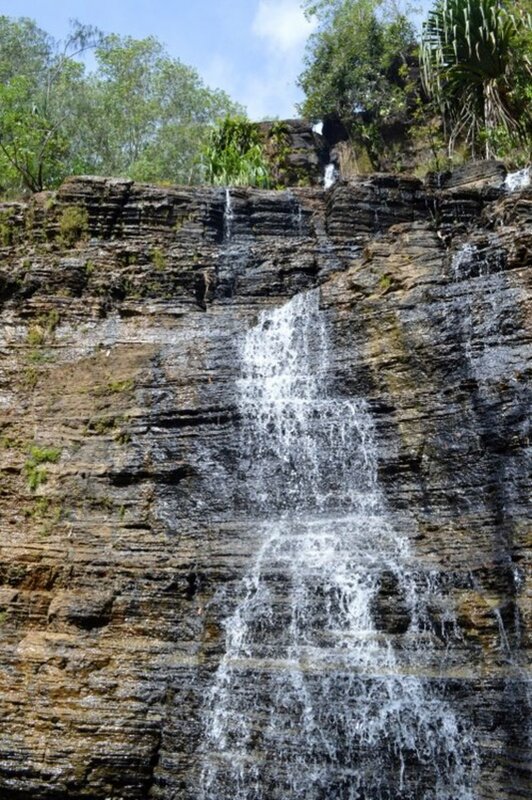 Several hikers have mistakenly taken the plunge into the turbid water. 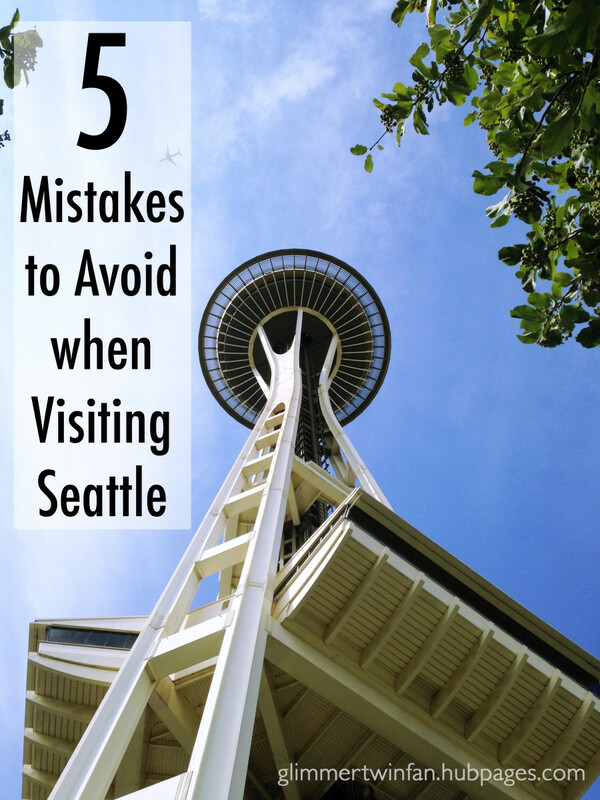 Generally, any way you hike, this is about half-way through your hike and having wet gear can be a literal damper on your experience. Look for bushwhack routes around the pond. When a route around an obstacle is found, it is generally marked with flagging tape. Use two trekking poles at their longest length to steady yourself. Unbuckle your pack's hip belt to ditch your pack in a hurry. Consider bringing rope to make a temporary handrail. Yes, I've climbed higher and grander mountains than 2261' Cat Mountain, but for the effort it is one of the best views in the Adirondacks. I've been up on this mountain three times, and each time the views were breathtaking, especially in the winter. From its rocky precipice, one can survey the tangle of boundless forest you've just ventured through and look forward to the days ahead. 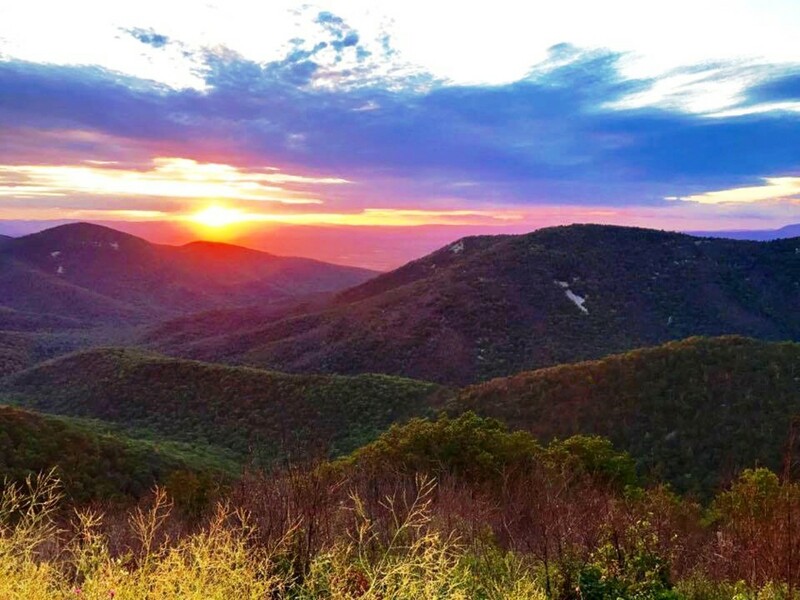 You'll reach the clearly marked Cat Mountain trail off of the Cowhorn Junction Trail, and it is surely worth the side trip while doing the CL50. Though you can drop your pack at the base, I found the trail easy enough to summit even with a load. As always, if you do drop your pack, secure your food so a curious animal doesn't chew through your satchel. After following the 0.6-mile trail, including a bit of a scramble near the top, you will reach the summit of Cat Mountain. Look for the cement bases on the summit; they are the remains of the fire tower that once stood here. Take time at this place, explore the cliffs, and marvel at the wonder of the world during a delicious pause on this mountain. How Much of the CL50 Have You Hiked? Bears and beaver flooding? You aren't getting me out there. Is there camping on Cat Mountain? Is there any space in the woods up top or is it just the exposed ledge? If I remember right, there is a small clearing in the woods near the summit of the mountain where people have pitched a tent. I'd probably camp down at Cat Mountain Pond though as there was a nice site with plentiful water. Thanks for this super detailed description of the trail. I have a 6-yr old who's keen on a first hike, and I'm wondering if there is a starting point along the trail where we could do just a 3km or so hike-in, camp, and come back out the same way. Something not too hard in terms of elevation gain (along the lake ideally). Greg again. I'm hitting this loop in May. Any chance you have a .gpx file for my Garmin? I've searched around the web and come up empty. Greg, glad you found this article. I used to be stationed at Fort Drum and explored this area a lot when I was there. The CL50 loop and its many side trails are a most excellent place to explore. I just found this article. THANKS! I'm new to the area (Fort Drum) but I'm an avid hammock camper and hiker. I can't wait to tackle this loop! Like anytime in the Adirondacks, winter can be unpredictable especially after a major snow dump. Sometimes it isn't about route finding, but about plodding your way through the snow and white out. I would say though, that the trail in winter is generally easy to follow. Now, that the CL50 has gained popularity (and more people are doing it in winter) the trail has even more use. The most difficult place to find a trail will be between the bridge that goes into the Five Ponds Wilderness and High Falls. That area is a twisted network of beaver dams and well placed logs. Luckily in January it will be frozen, so just try to keep the Oswegathie to one side of you while snowshoeing. If you navigate with a GPS, you will find it very useful. Also, be wary of old maps- many are outdated as the trails of the High Falls Loop have been moved. If you get a late start, consider walking clockwise on the loop and camping at Janack's Landing lean-to. It is a pretty easy walk from Wanakena and only a few miles the next day to Cat Mountain or High Falls. Good luck Gerry and thanks for reading. I see you wrote you've hiked Cat Mt. in the winter. I'm a former student at ESF and have lived at the Biological Station on CL; perhaps one of the nicest areas in the ADK. I currently live in AZ and was planning to bring my brother out to Five Ponds for a winter snowshoe/backpacking trip this January. I was hoping you could comment more on Five Ponds in the winter time, especially route finding/navigation on the trails. I haven't done much winter backpacking but I'm a confident navigator. Much of my daily work as a forester requires bush-whacking in remote country. I'd appreciate any suggestions/comments you might have. Route would be the High Falls Loop. Snowshoe to the lean-to @ high falls, take a side off-trail detour from the falls to an old-growth stand. (I have a friend that was able to circle it on a topo for me). The High Falls Loop is an excellent place for an backpacking trip and great for a first (and second) time out. I took my wife on her first backpacking trip on this loop and she had a good time. Well...she survived at least. One good resource for current conditions is to check the Adirondack Forum - http://www.adkforum.com/ Late August should be a good time to go though - the bugs won't be too bad and you may get some cooler temperatures at night, which is much better for sleeping. Even in this dry year, finding water sources shouldn't be a problem on the loop. 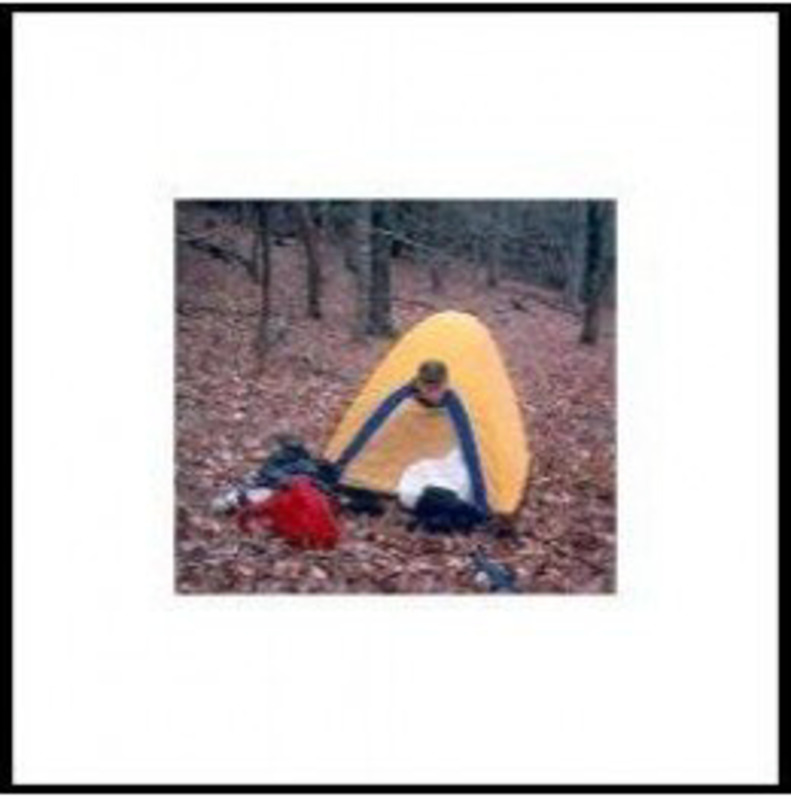 I've camped at both Janack's Landing and at High Falls and both are great places. Be advised though, that both are popular places to camp. Try to get into camp early to pick out a good site. Janack's has waterfront access, so boaters camp there too. Of course, the last time I was through there, nobody was camped at either site. If you can, spend a night along Cranberry Lake or a larger pond and find yourself serenaded by loons - that is quite the experience. As far as swimming goes, there are spots all over the place. I've swum in both Cranberry Lake and the Oswegatchie (sometimes not on purpose). Though bears are active throughout the area, chances are you will never see one. They tend to be rather skittish. Just be bear-smart however. I generally prefer a bear canister because the are far easier to use. Also, it will be easier when you climb Cat Mountain if you want to drop your pack - just stash the canister down the trail from your pack. If you are exploring, take a stroll on the South Side of the Oswegatchie toward the five-ponds: that area is traveled little and quite amazing. Have a great trip and let me know if you have any questions. Dan, Thank you very much for all the information/photos/videos you shared! 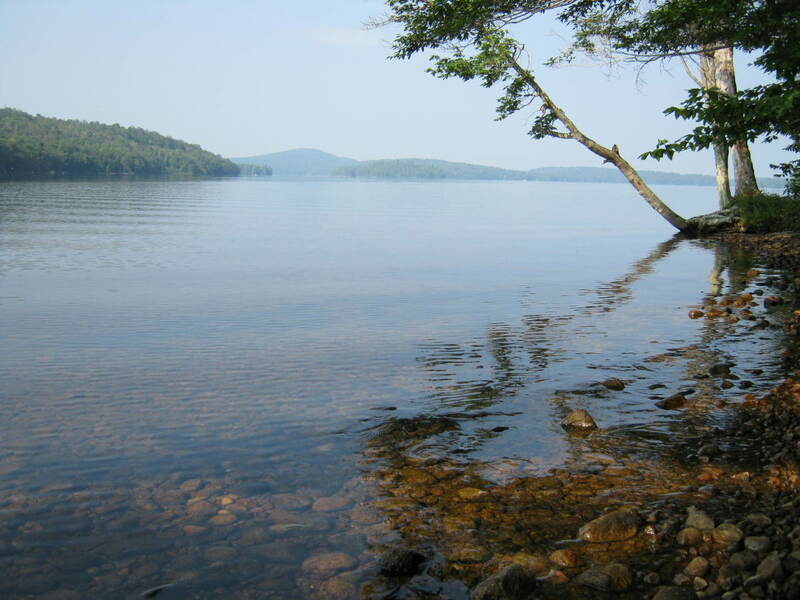 :) My partner & I are heading to the Adirondack Park for our first time Aug. 27-30th. This is our first trip together- his very first backpacking experience & my second, as I backpacked with the organization Outward Bound in the Rockies, CO. We plan to spend 3 nights hiking the High Falls-Cat Mountain Loop. 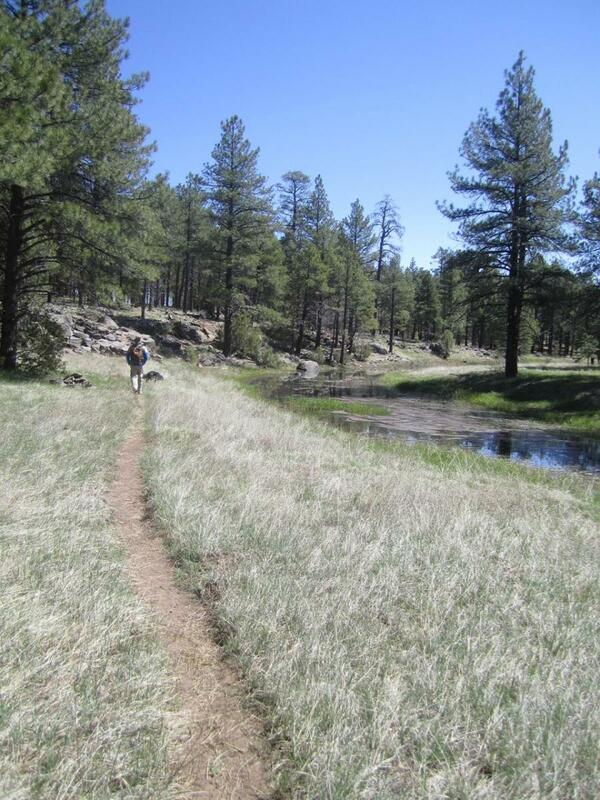 Do you have any specific advice for hiking Five Ponds Wilderness during this time of year? It is amazing you saw a Black Bear in Cranberry Lake Wild Forest.. Do you recommend purchasing a Bear Resistant Canister instead of using a Bear Bag? I have used neither before.. nor have I ever encountered a bear. 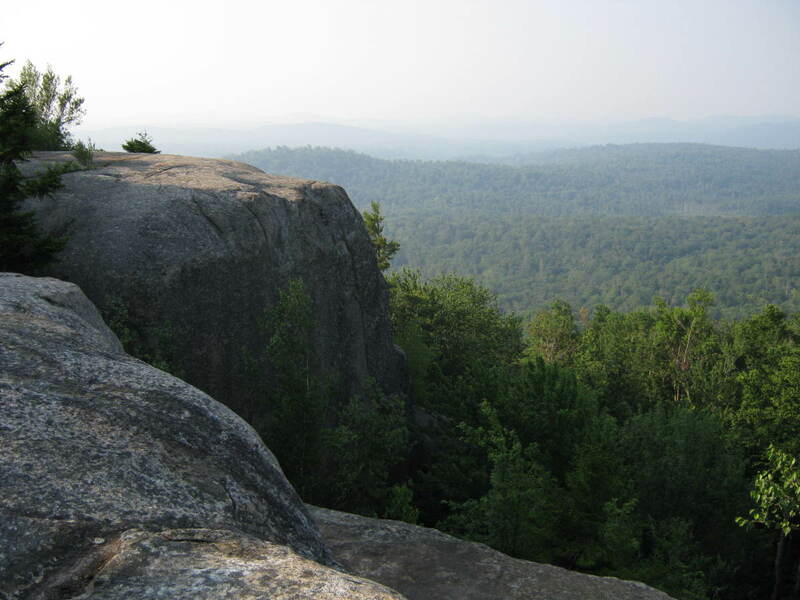 The Falcon Guide we are using suggests camping at High Rock on the Oswegatchie & Janack's Landing on Cranberry Lake.. but High Falls seems to me to be a beautiful & exciting spot to camp & explore.. I imagine falling asleep to the sweet sound of the falls.. Since you have passed through there before, I was wondering if you suggest camping there? Also, regarding swimming.. are you aware of any prime swimming spots off of the trail, in nearby ponds, Oswegatchie River/High Falls or Cranberry Pond? I apologize if these questions are inessential.. I am just very intrigued by the wilderness area, as it is quite mysterious to me. Late May would be an awesome time to hit the loop, it wouldn't be as humid as when I did it in July. Bring plenty of insect repellent because black flies will be in full swing then. Thanks for reading and good luck, let me know if you have any questions.